Your Level of Parent Involvement May Vary – All Parental Involvement is Important! As a parent yourself, you know how valuable it is for parents to be involved in their children’s education. Parent/family involvement can happen in a number of ways: from helping with homework, to going to school events, to participating in development of an Individual Education Plan (IEP) for your child, to serving on advisory groups and sitting on committees. After all, you know your child best. Your input into his or her education is critical. You know how he or she learns, what is easy and what is hard. You can help the school understand your child. Being involved in the school also lets your children know that they and their school are important and that they should do their best. Parent/family involvement helps your child succeed in school. It results in your child being absent less and better behaved. A home that supports learning is important. This affects your child’s school success. It matters more than your income, educational level or cultural background, and it is fun. Be sure to check out our list of opportunities to be involved in disability and special education committees/organizations. the likelihood that they will take more challenging classes and pass them. Why does Michigan Alliance for Families care? One goal of Michigan Alliance for Families is to increase family involvement for families of children with disabilities in schools. We help facilitate parent involvement as a means of improving services and results for children with disabilities. Michigan Alliance for Families can assist you in knowing your rights, effectively communicating your child’s needs, and advising how to help your child develop and learn. 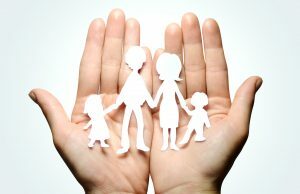 What does IDEA say about family involvement? The Individuals with Disabilities Education Act (IDEA), strongly supports parents’ right to be involved in the special education their child receives. IDEA states: Almost 30 years of research and experience has demonstrated that the education of children with disabilities can be made more effective by… strengthening the role and responsibility of parents and ensuring that families … have meaningful opportunities to participate in the education of their children at school and at home. What does the law say about family involvement? You know family involvement is important. The state and federal governments also recognize that parents and family members need to be involved. They require school districts to find ways to welcome and support families. The Michigan Department of Education (MDE) has provided an overview to school districts about family involvement. The federal law, the Individuals with Disabilities Education Act (IDEA), requires that schools help families be involved. Part B of IDEA applies to preschool, school age children and young adults. Part C of IDEA applies to children birth to age 2; in Michigan, it is called Early On®. MDE is required to submit a State Performance Plan (a plan for Part B and a plan for Part C) to describe to the federal government how the state is meeting the federal requirements. These requirements are described as Indicators. Both Part C and Part B have an Indicator relating to family involvement. The state also measures family involvement in both Part B and Part C by sending parents surveys. These surveys are developed and sent out by Wayne State University. Part C surveys and surveys to parents of preschoolers are sent every year. For Part B, surveys are sent to parents in a third of the school districts every year. So Part B parents can expect to get a survey every three years. Click here to read Michigan’s Part C State Plan and click here to read Michigan’s Part B State Performance Plan. How can I learn more about how schools are facilitating family involvement? The National Center for Special Education Accountability and Monitoring (NCSEAM) has created tools (which they call rulers) to measure how well schools are involving families in their children’s education. One ruler is called NCSEAM’s Family Centered Services Ruler. Another ruler is called NCSEAM Part B Schools’ Efforts to Partner with Parents Scale. Also check out the PTA Family Involvement Standards.